Autumn and winter were rather dry and mild; spring was cool and humid, followed by a summer resembling 2007. By mid-September, the weather in Burgundy turned extraordinary and allowed harvesting to take place under ideal conditions. Depending on the areas, the overall quantity is lower: 5% to 30% less than in 2007. On the other hand, the quality level is high , even exceptional. We are quite confident to say that 2008 is one of the greatest vintages of the past 25 years. All the wines from Chablis to the Grand Crus, depending on their level of appellation, show concentration, richness, freshness, minerality and intense aromas. You will be easily seduced by these wines which are very pleasant. It could be interesting to lay down these Chablis as their aromatic potential is important. 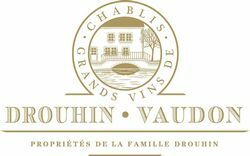 Although very pleasant and seductive when young, we recommend drinking the Chablis within to 4 or 5 years, the Premier Crus from 7 to 8 and the Grand Crus to drink from 2011 and the next 12 years.